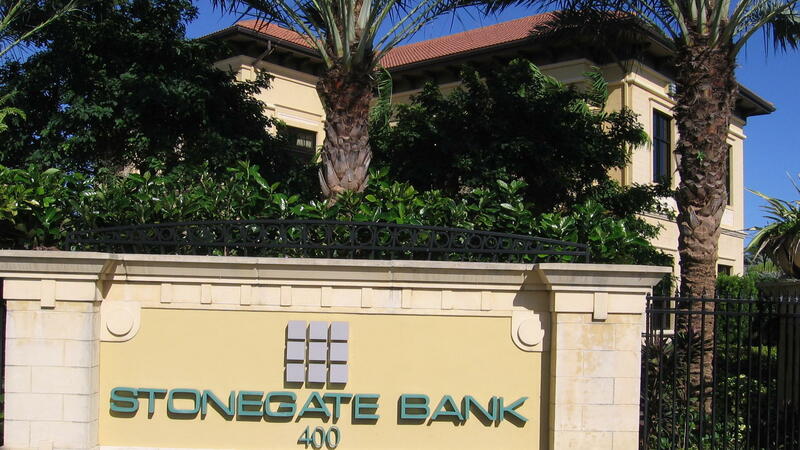 Stonegate Bank's Pompano Beach, Fla., location, shown here, announced it is setting up a correspondent banking relationship with a Cuban financial institution. Until this year, few people had heard of Stonegate Bank, outside of the 21 communities in Florida where branches are located. Stonegate was founded just 10 years ago as a commercial bank focusing on businesses. Stonegate CEO Dave Seleski says in March, one of his customers was having lunch with the head of the State Department's Cuba desk, Mark Wells. The discussion turned to the difficulty the State Department was having finding a bank willing to handle accounts for Cuban diplomats in Washington. Larger, more established banks, Seleski says, weren't interested. "My friend-slash-customer said why not Stonegate Bank? And so they literally handed the phone to Mark Wells. And he said, 'Would you be interested?' And I said, 'We'll take a look at it.' And then, we didn't feel there was a lot of risk with it. And we felt like this was going to move this process forward. I mean, I've always been against the embargo. We took that first step,' Seleski says. A few months later, Stonegate took another step. It became the first — and still the only — U.S. bank to set up a correspondent relationship with Cuba's central bank. That means, theoretically, that Stonegate customers will be able to transfer funds directly between the U.S. and Cuba. Despite the Obama administration's new policies, the U.S. trade embargo ordered by Congress remains in place. And Seleski says that means Stonegate has to go through an institution in a third country to transfer funds. "You still have to use an intermediary bank. So the correspondent relationship is not really truly operating, functioning as an actual correspondent relationship. And that's probably one of the biggest challenges to U.S. businesses doing business in Cuba — is just getting the money back and forth," Seleski says. With claims and sanctions still outstanding, companies that do business with Cuba have to proceed very carefully. Funds and goods that belong to Cuba can and have been seized while on U.S. soil. Jodi Bond of the U.S. Chamber of Commerce says this is one reason the large banks have been reluctant. It's risky. "You can lose a lot of money quickly," Bond says. In October, the Justice Department fined a French bank more than $700 million for financial transactions that violated U.S. sanctions — including unauthorized business with Cuba. This month, the two countries began negotiations to resolve 50-year-old claims by U.S. citizens and companies that had property seized by Cuba. Bond says those claims will have to be settled to resolve the uncertainty that keeps the big banks away. Stonegate Bank recently became the first U.S. institution to issue debit cards that can be used in Cuba. Credit cards should soon follow. But a major challenge Stonegate and other banks face in Cuba is the currencies. There are two official currencies: the Cuban peso, used by the people who live there, and the convertible peso, the one visitors use. Fernando Capablanca, head of the Florida International Bankers Association, says there's also an underground economy with its own dollar exchange rate. "I like to say there are three currencies in Cuba. What kind of exchange rate are they using when someone uses a debit card or credit card in Cuba? 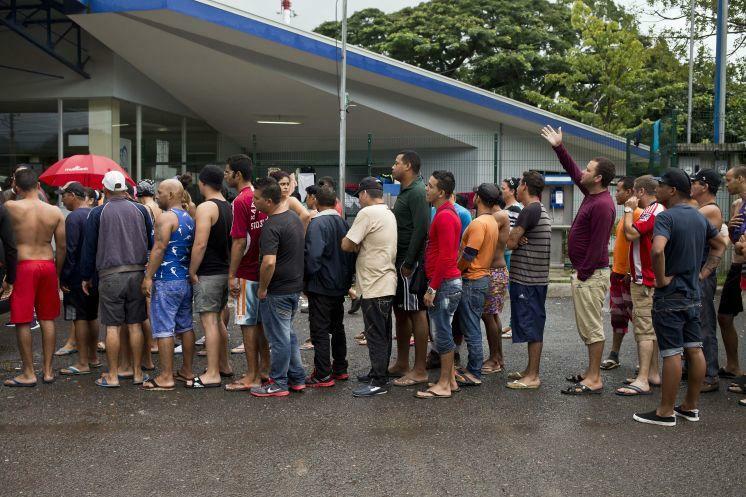 Not to mention the fact that there are so very few merchants in Cuba who accept any kind of credit card," he said. Cuba says it plans to eventually unify its currencies. Stonegate CEO Seleski says that will do a lot to open the island's economy. And he says there are some big players now eager to do business. "You've got Amway, you've got Caterpillar, you've got American Airlines, you've got Morgan Stanley. You've got big companies that are really getting behind, look, it's time to normalize relations and drop the embargo." That would require an act of Congress, which, big business or not, proceeds on its own timetable. It's been a year since President Obama opened a door to Cuba, and things are changing. The two countries have reopened their embassies. They've agreed to re-establish commercial air travel. But in finance, progress has been slow. There's just one U.S. financial institution doing business with Cuba. NPR's Greg Allen reports on this small bank in Pompano Beach, Fla.
GREG ALLEN, BYLINE: Until this year, few people had heard of Stonegate Bank outside of the 21 communities in Florida where branches are located. Stonegate was founded just 10 years ago as a commercial bank focusing on businesses. Stonegate CEO Dave Seleski says in March, one of his customers was having lunch with the head of the State Department's Cuba desk, Mark Wells. The discussion turned to the difficulty the State Department was having finding a bank willing to handle accounts for Cuban diplomats in Washington. Larger, better established banks, Seleski says, weren't interested. DAVE SELESKI: My friend-slash-customer said, well, why not Stonegate Bank? And so they literally handed the phone to Mark Wells, and he said would you be interested? And I said, yeah, we'll take a look at it. And then we didn't feel there was a whole lot of risk with it, and we felt like this was going to move this process forward. I mean, I've always been against the embargo. And so it was - we took that first step. ALLEN: A few months later, Stonegate took another step. It became the first and still only U.S. bank to set up a correspondent relationship with Cuba's central bank. That means, theoretically, that Stonegate customers will be able to transfer funds directly between the U.S. and Cuba. But despite the Obama administration's new policies, the U.S. trade embargo ordered by Congress remains in place. And Seleski says that means Stonegate has to go through an institution in a third country to transfer funds. SELESKI: You still have to use an intermediary bank. So the correspondent relationship is not really truly operating, functioning, as an actual correspondent relationship. And that's probably one of biggest challenges to U.S. businesses doing business in Cuba is just getting the money back and forth. ALLEN: With claims and sanctions still outstanding, companies that do business with Cuba have to proceed very carefully. Funds and goods that belong to Cuba can and have been seized while on U.S. soil. Jodi Bond of the U.S. Chamber of Commerce says, this is one reason the large banks have been reluctant - it's risky. JODI BOND: You can lose a lot of money quickly. ALLEN: In October, the Justice Department fined a French bank more than $700 million for financial transactions that violated U.S. sanctions, including unauthorized business with Cuba. This month, the two countries began negotiations to resolve 50-year-old claims by U.S. citizens and companies that had properties seized by Cuba. Bond says those claims will have to be settled in order to resolve the uncertainty that keeps the big banks away. Stonegate Bank recently became the first U.S. institution to issue debit cards that can be used in Cuba. Credit cards should soon follow. But a major challenge Stonegate and other banks face in Cuba are the currencies. There are two official currencies - the Cuban peso, used by the people who live there and the convertible peso, the one visitors use. Fernando Capablanca, head of the Florida International Bankers Association, says there's also an underground economy with its own dollar exchange rate. FERNANDO CAPABLANCA: I like to say they are three currencies in Cuba. What kind of exchange rate are they using when someone uses a debit card or credit card in Cuba? Not to mention the fact that there are so very few merchants in Cuba that accept any kind of credit card. ALLEN: Cuba says it plans eventually to unify its currencies. Stonegate CEO Seleski says that will do a lot to open the island's economy. And, he says, there are some big players now eager to do business. SELESKI: You've got Amway. You've got Caterpillar. You've got American Airlines. You've got Morgan Stanley. You know, you've got big companies that are really getting behind. Look, it's time to normalize relations and drop the embargo. ALLEN: That would require an act of Congress, which, big business or not, proceeds on its own timetable. Greg Allen, NPR News, Miami. Transcript provided by NPR, Copyright NPR. 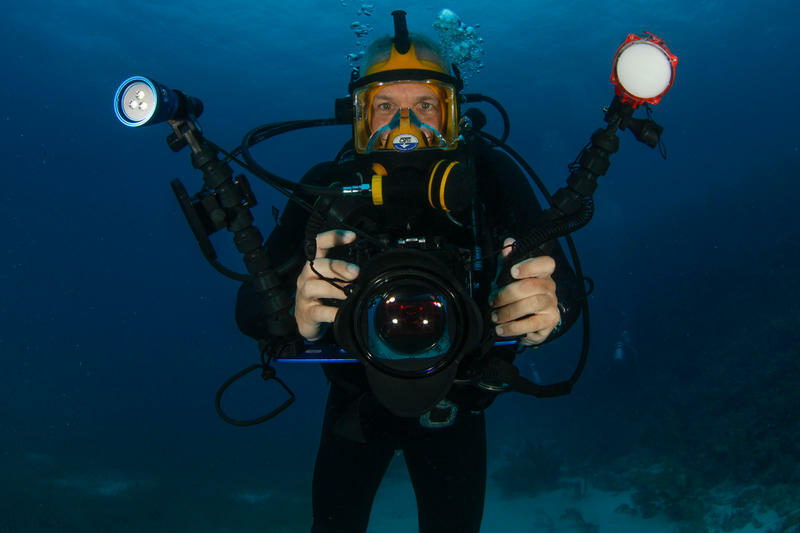 David Guggenheim fell in love with scuba diving and coral reefs in the 1970s when he attended a marine science camp in the Florida Keys. 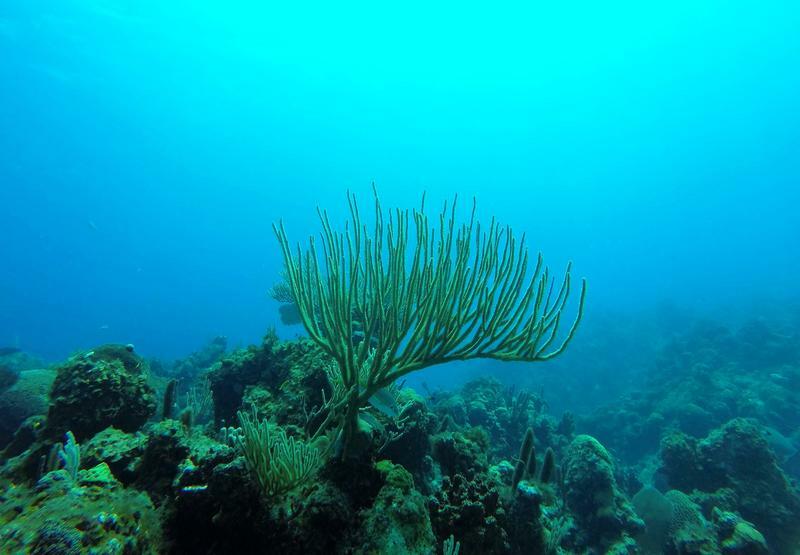 But over a career as a scientist and conservationist, he watched those coral reefs degrade and disappear.